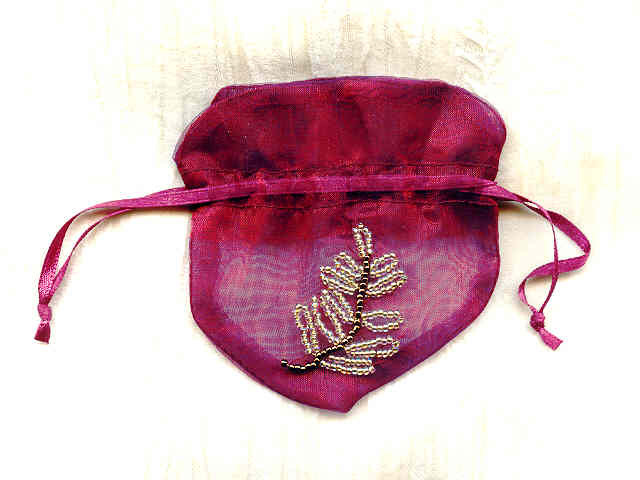 This one is sheer iridescent burgundy with a lovely fern design worked in bronze and gold-lustred clear seed beads. The bag is about 3-1/2" by 3-1/2" (measured flat), and closes with a satin ribbon draw string. These dazzling handmade earrings feature 26mm-long Swarovski Crystal leaf pendants. Here's a stunning little bag with more dazzle than an Independence Day grand finale.